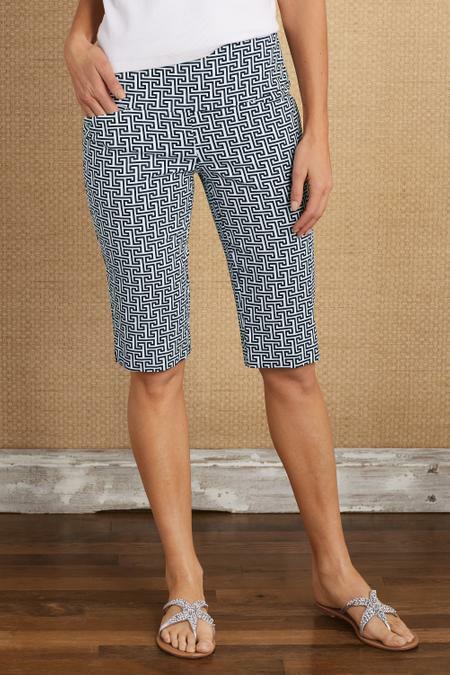 Geometric waves of crisp blue and white capture a Mediterranean-stroll state of mind, in smooth-fitting shorts for any day's outing. Wide elastic waistband for a comfortable fit. Rayon/nylon/spandex. Misses 12" inseam. Sits at natural waist.